Ever since his stellar playing career as a WR and kick returner that took him from Texas High School fame to a starring role at the University of Hawaii and then stints in the NFL, CAFL and AFL, friends and family have refereed to Darrick Branch as “DB”. 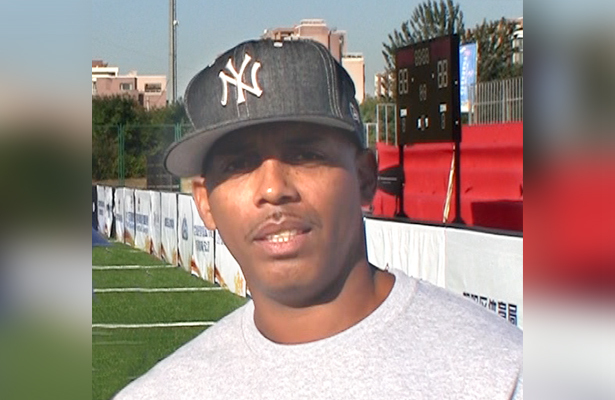 Now, DB is making a move up the depth chart of the China Arena Football League front office. “Darrick has the ability to connect with our players as well as Chinese business leaders as we continue to lay the foundation of football in China,” noted Gary Morris, the CEO of the CAFL since its inception in 2013. All of this announces the promotion of Branch to VP of Football Operations as the league prepares for its second season of play in China this fall. “Last season was exciting because we were not sure how the veteran players from the US would combine with our first-time pros from China. Now we know it can – and will – work. We look forward to the next steps in making the CAFL ever better” says Branch. The Super Series 2017 kicks off in Shanghai on September 23rd with three weekends of tryouts upcoming in May 2017, led by Branch and his staff.